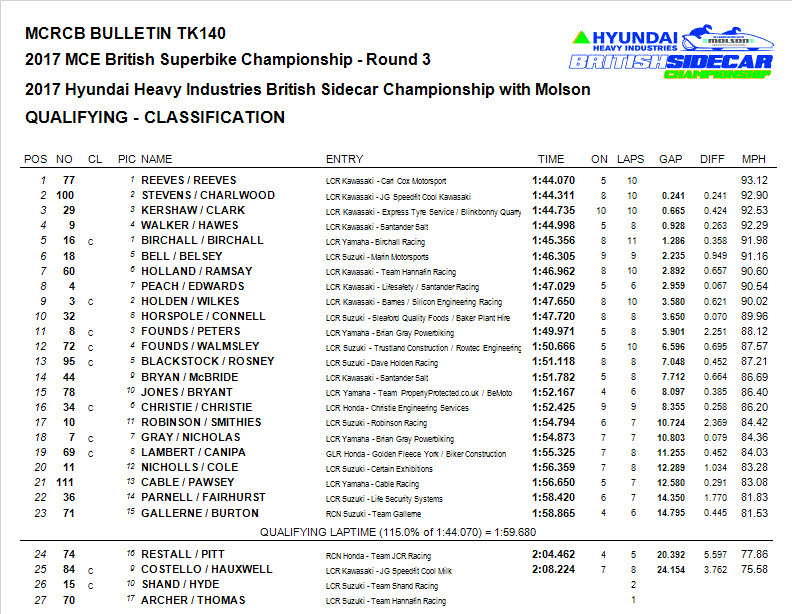 Ben and Tom Birchall stormed to a convincing victory in the second round of the British Sidecar Cup at Oulton Park on Monday also setting a new lap record for the class of 1m 44.788s – 92.48mph. Fresh from their victory in the first round of the World Sidecar championship at Le Mans, the team headed to Cheshire to contest the second round of the British championship. Because of a date clash they were unable to ride in the first round at Brands Hatch but were keen to make up for that by securing a win at Oulton Park. 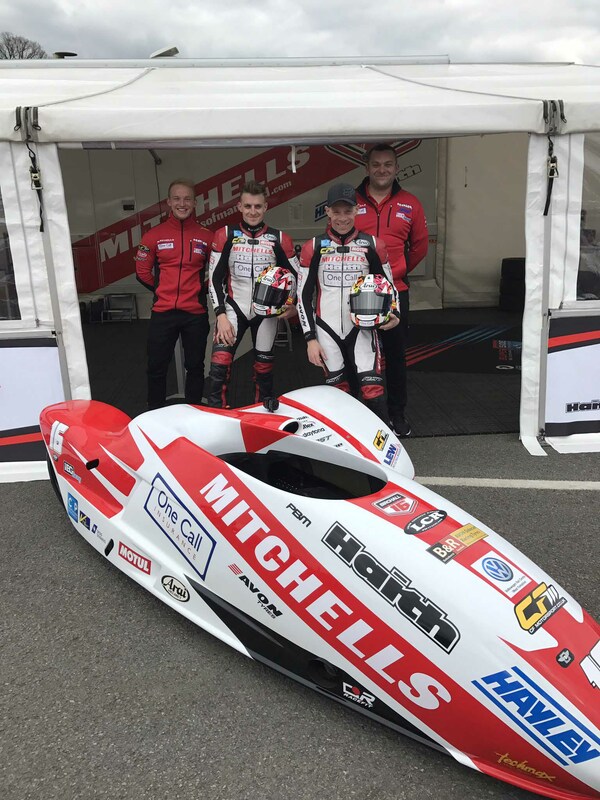 Within the mixed grid of F1 and 600cc Cup competitors the Mitchells of Mansfield supported brothers posted some fast laps during qualifying and were fastest in class, fifth overall and placed on the third row for the start of the 12 lap race on Monday. As the race got underway the Birchalls were baulked by a number of machines as they went into Hizzy’s chicane resulting in the outfit being pushed onto the grass. They were quick to recover and began the chase in eighth place overall and first in their class. On lap two they were up to seventh and then sixth as the field began to string out. 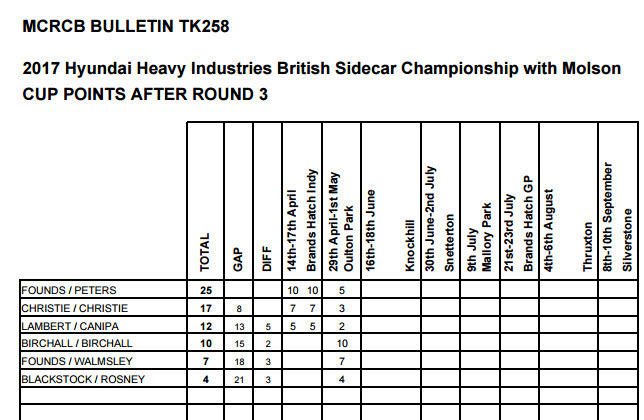 By the midway stage of the 12 lap affair they were up to fifth place and honing in on the F1 outfit ahead. They had just moved into fourth when one of the F1 passengers fell from his machine resulting in the red flag curtailing the track action and a result declared at 10 laps distance. The Birchall brothers were awarded fourth place overall and were the convincing winners of the 600 Cup over 34 seconds ahead of the second Cup competitors Founds/Walmsley. 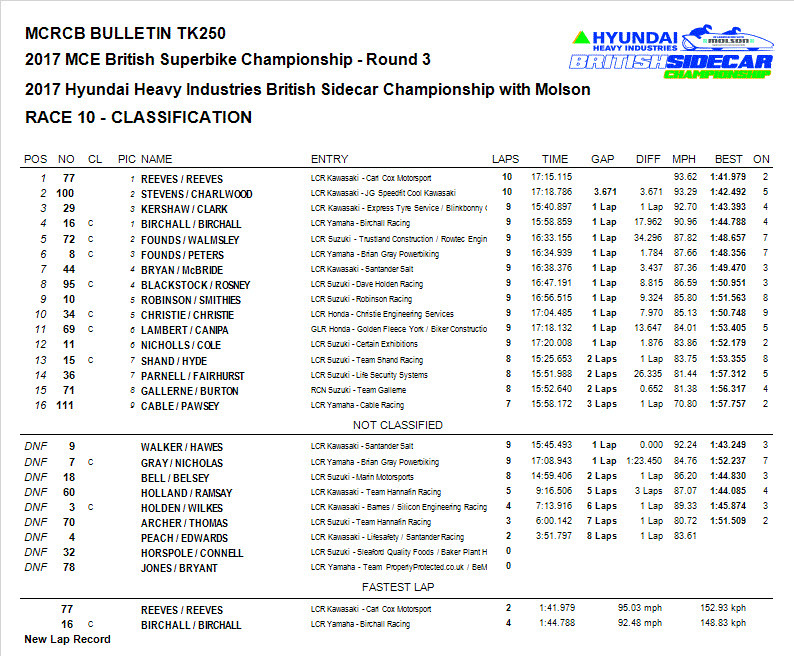 “It was a great weekend for us at Oulton Park as we continue with the development of the new machine. Craig Fitzpatrick of CF Motorsport spent some valuable time with us over the weekend to further improve the performance of the Yamaha R6 engine that he supplied to us for our World Championship campaign in readiness for the second round at Oschersleben shortly. The weekend was helpful to keep our skills sharp battling with the F1 machines. Thanks to our sponsors for their continued support and it was nice to be able to repay them in England with a convincing win. 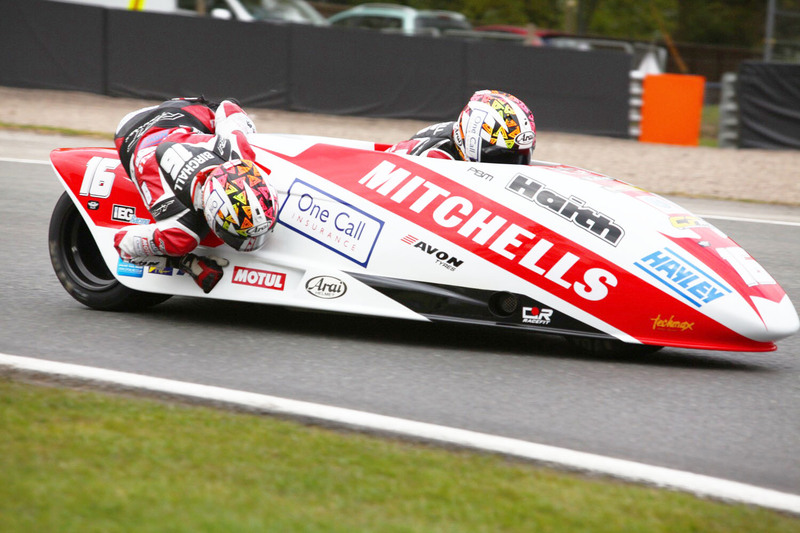 The next race for the Birchall brothers is the second round of the FIM World Sidecar championship at Oschersleben which takes place over the weekend of May 20-21.